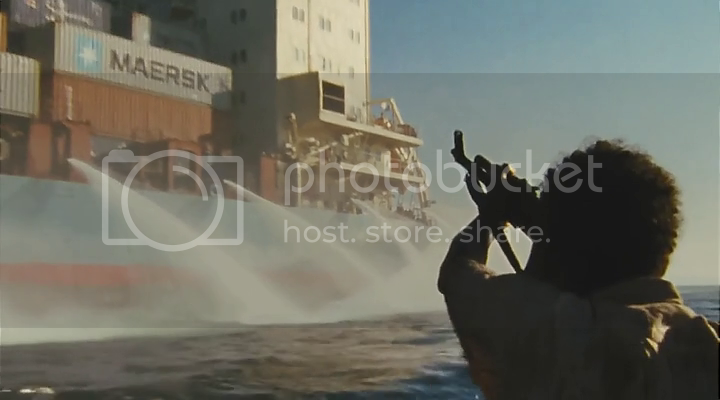 Captain Philips is a biopic about Captain Richard Phillips and the 2009 hijacking by Somali pirates of the MV Maersk Alabama. – If you’re prone to motion sickness, best to skip the movie. – What is it with Tom Hanks and the sea, anyway? I don’t know if the movie was ultra realistic or not realistic enough. I don’t know what happened in real life, nor know what should be the action of a normal human being with instinct, but movie-wise, I had a hard time believing what happened to Captain Phillips (played by THE Tom Hanks). – Four armed men with a little boat versus 20 or so grown men inside a enormous ship. C’mon. – WHY WEREN’T THERE ANY ARMED SECURITY ON BOARD?! – I don’t know about the law and stuff, but if you transverse a part of the world where pirates are kindov common, wouldn’t you, like, arm your men? Not an actual firearms if that’s illegal. Just make them ready. Somali pirates is not entirely new news. And the ship was owned by a big corporation. Are you telling me that the big corporation allowed that to happen? I refuse to believe that. I don’t know what really happened, but as a movie plot, that’s weak. Those water cannons at the side of the ship does not count. They were lame. – The sense of helplessness on the part of the crew made me mad. I was so mad of them for not fighting. The pirates were outnumbered, not very smart, and didn’t know the ship AT ALL. So when the crew men attacked the pirate leader, I literally shouted “FINALLY! THEY FOUGHT!”. I dunno, maybe it’s just me. Or maybe a lot of people agreed with me. Well, I refuse to stand by any situation and become a victim (case in point). If the pirates were going to kill me I’d rather die fighting. – When the pirates were about to board the ship via an improvised iron ladder, why didn’t the crew just unhook the ladder from the ship. It would solve all the problems – there will be no more means for the pirate to board the ship, and they could, like drown or something or the ship could get away after that. Ugh. 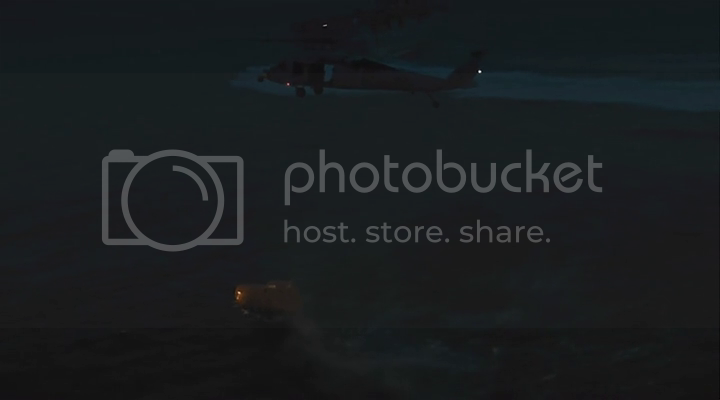 – Four armed men inside a little boat versus the might Navy/SEALS. C’mon. And it’s not like Captain Phillips was a stupid hostage sort. He’s smart and aware and he’s willing to fight. I refuse to believe that despite the fancy ships and flying people/stuff, the military people was not able to save the Captain when he got away from his captors and jumped out into the waters. C’mon. – Whereever did they find Barkhad Abdi (the guy who played the Pirate boss). He was ah-maze-in. – I was also immensely annoyed by all the shouting and commotion. I didn’t think of it as “tension”, just “annoying noise”. – My favorite scene was the last scene, when a Navy medic was attending to the very shocked Phillips. It was the realness of the medic (turned out, she’s the real deal), and Tom Hanks’ topnotch acting that made it very emotional and undeniably powerful. I had little sympathy with Phillips the whole movie (yes, I’m evil like that), but I wanted to hug him during that examination. I don’t know if the movie makers just want to be loyal to Phillips’ account of things, but theatrically, I don’t think it worked. I’m picking Dallas Buyers Club over this, I guess. Oh I don’t know! It’s really hard!